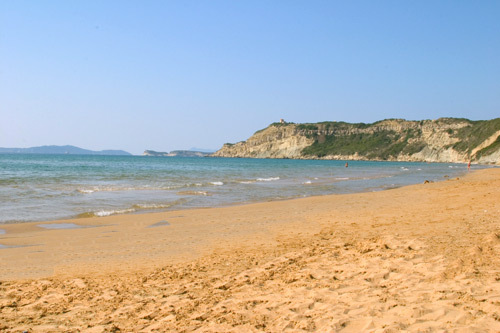 Martin and I are off to wonderful Arillas on the island of Corfu tomorrow. Arillas is a tiny resort on the north-west coast of the island, and we love it there. This will be our fourth visit and it feels almost like a second home. So, the plan is to relax, eat lots of wonderful food, maybe have a drink, or two, or three and read lots of books. Back in a couple of weeks - take care! 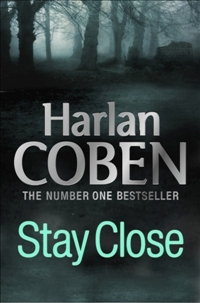 I received my copy of Harlan Coben's latest stand-alone novel Stay Close via the Real Readers programme. I'm not sure why, but I've never even thought about reading any of his books before, I do enjoy a good thriller but am often put off by a series, and wasn't aware that Coben had written any stand-alones. Stay Close has a complex plot line with a lot of characters, at times it becomes a little complicated, but the writing style more than compensates for that. Coben writes with ease, the story rushes along at top speed with the obligatory twists and turns, red-herrings and dead ends that are the makings of a great crime thriller. The story centres around Megan, who appears to be an ordinary all-American housewife, with two kids and a good husband; but Megan has a past, there are people who will remember her as Cassie - a good-time girl who worked the sleazy bars and lived life at the edge. When Megan revisits her past, her new life begins to unravel. Ray is a wreck, an ex-boyfriend of Cassie, his life has been one big mess for the past seventeen years, ever since Stewart Green disappeared - Ray can't forget the blood. Detective Broome has been haunted by the unsolved case of Stewart Green and is determined that one day he will uncover the truth, little does he know that the case is going to explode again around him with full force. Add in a few shady underworld characters and two of the most unlikely psychopaths ever created and this makes a great story. 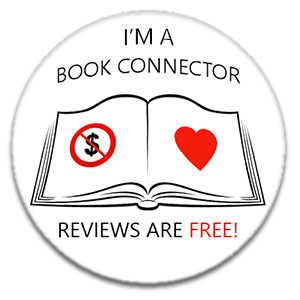 I really enjoyed this read, it has the plot, the characters, the unexpected ending and the pace that keeps the reader turning the pages quickly. When I opened the parcel from Egmont and out fell a copy of 1.4 by Mike Lancaster, I was surprised and just a little bit scared! Science-fiction is really not my usual choice of reading material, and it's aimed at Young Adults. I read the blurb on the back, did a little research on the net and was really really intrigued, so as 1.4 is the second in the Kyle Straker series I went out and bought 0.4 (the first book). Well, here we are a couple of weeks later and I'm a convert, well and truly hooked on Mike Lancaster's fantastic series. What an imagination that bloke has! I'm going to do my best to review both of the books, but I'd really advise you to read them for yourselves. 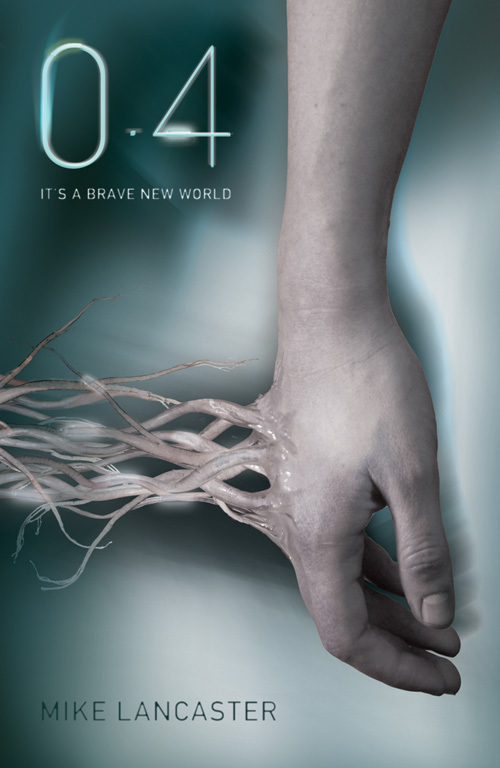 So, let's start with number one in the series; 0.4 (published in the US as Human .4). Set in the future where life and humankind as we know it has changed drastically. A set of cassette tapes with the recording of a diary have been found and are the basis of the story. The diary belongs to Kyle Straker, a teenage boy who lived in the early 21st century. The diaries have been reproduced in book format, which in itself is very unusual in this future world, as nobody actually reads any more, and throughout the diary the unknown editor adds his own explanatory notes to the text. These notes add a touch of humour, and also a touch of cynicism. Kyle Straker was an average teenager, living in small village, hanging out with his mates, listening to music and fancying the local girls. It's the day of the annual village talent show and Kyle and three others volunteer to be hypnotised as part of one of the acts. This is where life becomes very very strange, when the four volunteers wake up, the rest of the village are standing stock still and are silent. The phones are dead, the internet is cut off. When the other villagers wake up and start to go about their business, Kyle and the other three soon realise that something catastrophic has happened - and they have been left behind. To say any more would give too much away, but be assured that what follows is an intelligent and fast-paced story, sometimes very scary and often very insightful. I was totally and utterly transfixed by the story and the writing, the characters and the premise. 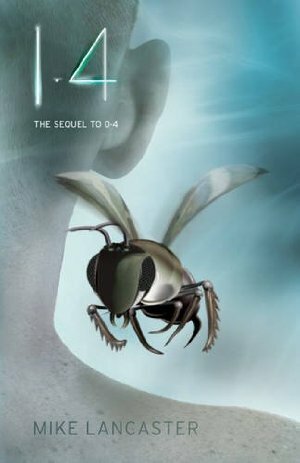 Moving on to the second book in the series; 1.4 was published at the beginning of this month by Egmont and we find ourselves transported many many years into the future yet again. I'm not sure exactly how many years have passed, but it's definitely hundreds and quite possibly thousands. Earth has changed dramatically, life is led via The Link which is accessed in people's head. A little like our internet but without the need for the hardware, just log into your Link account (in your brain) and chat to your friends, order a new outfit, play games, listen to music - live life basically. 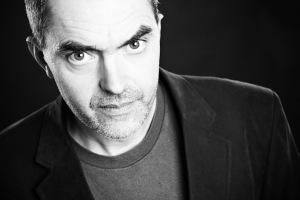 Peter Vincent is the lead character of 1.4, the son of a leading scientist who has created artificial bees. Peter's Mother left home 8 years ago, his father is cold and appears uncaring. Peter meets Alpha - a girl who lives the other side of town, and who believe in another way of life. Alpha is a Strakerite - she believes in the Kyle Straker Tapes, and believes that everything that is contained in 0.4 really happened. Peter's father is totally against Strakerites - he is a scientist and has appeared to prove that Kyle Straker did not exist and is a fictional character. Peter discovers that his life, his history, his memories are not quite what they seem. As his world crumbles around him, he and Alpha must fight to protect their world. 1.4 is just as intriguing, as intelligently written and as exciting as 0.4, and again I can't go into more detail as it would spoil the reading experience for others. I've said before that science-fiction is not usually my thing, but these books have an ease about them that draws the reader in and doesn't let go until the final page is turned. If you are a science-fiction fan you will love this series, if you don't think you are, please give them a go - I think you may get a pleasant surprise. 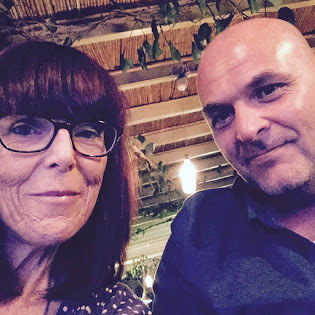 Glimmers was published by Barbara Brooke in March 2012, as well as writing women's fiction she also writes fantasy novels for young adults under the pen name of HB Bolton. Paige is an average, everyday American Mum. She's happily married to Elliott, although theirs is now more of a comfortable relationship rather than a passionate one; she has two lovely kids and a very annoying sister, Hailey. Hailey has Paige wrapped around her little finger, one phone call and Paige comes running, even down to trying on Hailey's wedding dress for her. Hailey is due to be married to Derek in just a couple of months, yet it seems to be Paige who is doing all the running around. Until one day, Paige discovers that Hailey's life may not be quite what it seems. Paige has begun to 'see' things. She has tried on Hailey's engagement ring and has seen a memory that is Hailey's; she has worn some vintage boots and suddenly found herself in the world of Delilah - a teenager from the South, and when she tries on the antique earrings that her Mother gives to her she finds out some family history that she never knew before. It seems that the power to be able to see 'glimmers' is one that random females in her family have possessed and although they are not dangerous, in fact Paige has started to enjoy them, they can be a bit awkward at times. 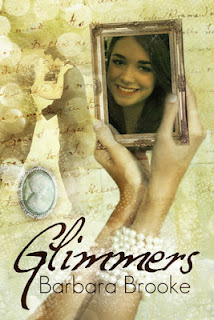 Glimmers is a fun read, it's not going to win any literary awards, but it is a engaging and entertaining read. It is also a very original idea and Barbara Brooke had woven together Paige's real life with the characters from her 'glimmers' very well. I especially liked the story of Emma, set in England in the early 1800s - it was atmospheric and very well written. Many thanks go to Barbara for sending me a copy to review. 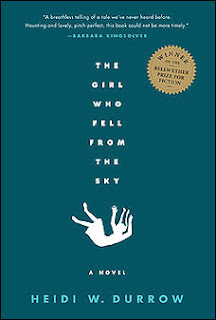 Published in the UK in April 2010 by OneWorld Publications, The Girl Who Fell From The Sky is Heidi Durrow's first novel. Rachel is the new girl. Rachel is biracial and is living with her Grandmother after a terrible tragedy back in Chicago, of which Rachel was the only survivor. 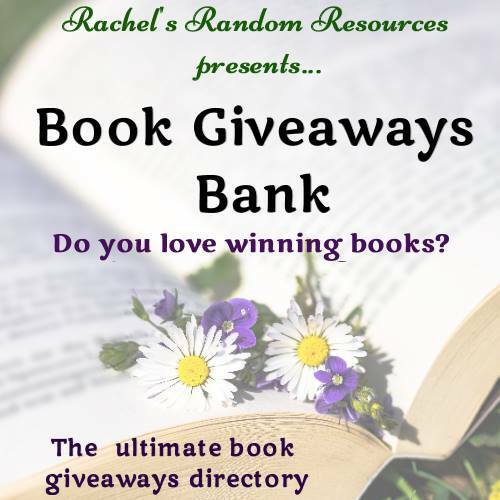 The author, Heidi Durrow is the daughter of a Danish mother and an African-American father, just like Rachel, and it is clear that she has drawn expertly from her own experiences when writing Rachel's story. Set in the 1980s, and with a theme of racial identity, this is an intelligently written and very moving story. Chapters are narrated by various voices, those of Rachel herself; Brick - a young boy who witnessed the tragedy, Roger - Rachel's estranged Father, and Laronne - the employer of Rachel's mother. Also interspered throughout the book are parts of Nella's (Rachel's mother) diary. These different voices and the writings of Nella give different views and reasons for the terrible event that happened that day in Chicago - when a Mother and her three young children fell from the roof of a multi-storied building. For the first time in her life, eleven-year old Rachel realises that she is either 'black' or 'white', she finds herself under intense scrutiny from the people in her Grandmother's community, almost an oddity, with her mocha coloured skin and her clear blue eyes. Rachel also has a strength of character and a level of intelligence that could almost be viewed as a hardness by others, she has to deal with her own coming-of-age alongside the pain of losing her family and trying to deal with who and what she is. Rachel and Brick are amazing characters. Brick (aka Jamie) lived below Rachel and her family in the aparment block in Chicago. He is a quiet boy, neglected by his drug-addicted mother and abused by her many visitors. As the story unfolds, Brick matures too quickly and becomes a man long before he should do. There remains a gentleness and vulnerability to Brick despite his experiences of life and people. Rachel, on the other hand is a bit of an enigma. She is often confused and seems innocent, but has a spark to her that manifests itself in some behaviours that lead her God-fearing Grandmother to despair of her. Rachel's beautiful Aunt Loretta and her boyfriend Drew are the characters that have the most impact on Rachel and will guide the course of the rest of her life. This is an amazing debut novel which was the winner of the Bellwether Prize for Fiction, and quite rightly so. So, it's been the May Day Bank Holiday weekend, and really the sun should have been shining, we should have been sitting outside and enjoying walks in the fresh air. But no, it's been cold and breezy here in Gainsborough all weekend, although the rain did keep away yesterday and at times the sun tried to break through. We ordered new windows last week and the first two were fitted on Friday, so of course we then thought we'd better redecorate the living room. Neither Martin or myself are great fans of decorating, oh it's lovely when it's all finished, but the hassle and the mess that leads up to the finished product drives me a bit wild. My lovely Dad has agreed to put up our new wallpaper when we are in Corfu in a couple of weeks, so we thought we'd strip the walls and paint the ceiling this weekend. We only have wallpaper on one wall, so we've re-painted the other walls too, all Dad will have to do is wallpaper one wall. 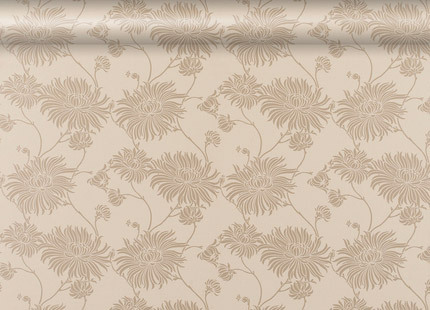 We got some lovely, quite neutral wallpaper from Laura Ashley - they had 30% off everything this weekend, and we only need 3 rolls. This is the pattern (picture on the right). It's Kimono Truffle Floral - the walls will be painted linen. I'll be glad when it's all finished - I hate upheaval. 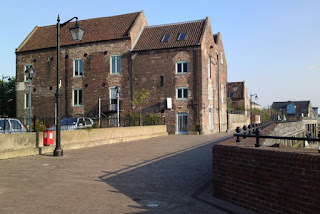 We gave ourselves a bit of a break this afternoon and went to Reeds Coffee Shop here in Gainsborough for a late lunch. We've become regulars at this wonderful little place down by the Riverside. Always great food, excellent service and a warm welcome. Today I had a chicken and cheese panini and portion of their fabulous fries - they serve their sandwiches with salad and delicious home-made coleslaw. It was good to get out of the dusty, paint-smelling house for an hour or so. It would have been even better if the sun was shining and we could have sat outside! I hope everyone has had a great bank holiday, despite the weather! There is no doubt that Sue Townsend is one of Britain's finest comic authors, her Adrian Mole series has become a classic and it's incredible to realise that Adrian has been with us for thirty years now. 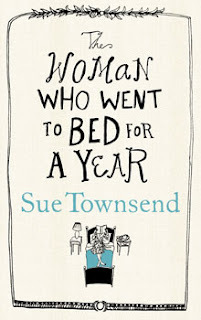 The Woman Who Went To Bed For A Year is Sue Townsend's latest novel and as always, it is written in her trademark style - full of humour and absurd situations, exaggerated situations and a cast of the most diverse and sometimes grotesque characters imaginable. Eva Beaver is a librarian from Leicester, married to Dr Brian Beaver an astronomer and mother of twins Brianne and Brian Junior. The twins are exceptionally gifted in Maths and have just left home to start University in Leeds. As the twins leave the house, Eva takes to her bed and stays there. Her husband is appalled - who will cook his food, iron his clothes, creosote the fence? Her mother Ruby and her mother-in-law Yvonne are disgusted, and ashamed and perplexed. Has Eva gone mad? Eva is not mad, she is fed-up with being the person who keeps everyone else's life ticking along nicely - now it is time for her to indulge herself and to stop being the person that everyone expects her to be. It doesn't matter in the least that the story is pretty preposterous, because this is so incredibly well written. There is a whole host of characters who are so well formed that they really do appear to be alive, the ghastly Dr Brian and his ridiculous young girlfriend. Poppy, the liar and fantasist, who wrecks lives without a glimmer of guilt; Alexander, the dreadlocked hero; Brianne and Young Brian, the almost autistic, self-centred twins; and of course the wonderful Ruby who steals the show. There is an underlying darkness about this story, it's funny but at times, oh so sad. My only criticism would be that maybe it is a teeny bit too long, and maybe there are a couple of sideline characters that were not really necessary. On the whole though, I thought this was a wonderful read, it made me laugh out loud so many times.